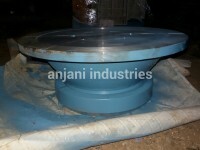 Our company is highly established and reputed company manufacturing and supplying superior quality, high performing and oipe ring gauge Flanges of any size so that exact needs and requirements of customer can be catered. While manufacturing these Flanges, we use excellent quality raw materials and highly advanced manufacturing tools, which enhance quality and reduce cost of the products. Our range of products is made following guideline of certified quality and norms of international quality standards and also offers the same at affordable prices. 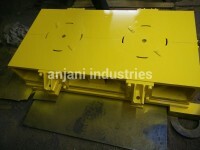 Our company is highly established and reputed company manufacturing and supplying superior quality, high performing and Gear of any size so that exact needs and requirements of customer can be catered. 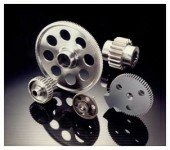 While manufacturing these gear , we use excellent quality raw materials and highly advanced manufacturing tools, which enhance quality and reduce cost of the products. Our range of products is made following guideline of certified quality and norms of international quality standards and also offers the same at affordable prices. Customers can avail from us a wide range of Brass Ci Bushes which are manufactured from high quality raw materials. Following the international standards, these products are accurate in dimension and assure optimum performance. We are highly praised for the sturdy construction and high functionality of our Brass, s.s Bushes. 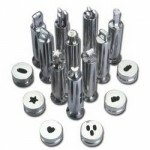 Anjani Industries had more experience in the pharmaceutical parts making, which application medical industry. The mould is stabiles steel mould, long usage and mould quality is fine.